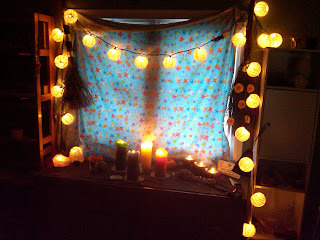 I want to start with why altars are important to me. For me they show respect and honor. They show that the Lord and Lady have a place in my home and my life. 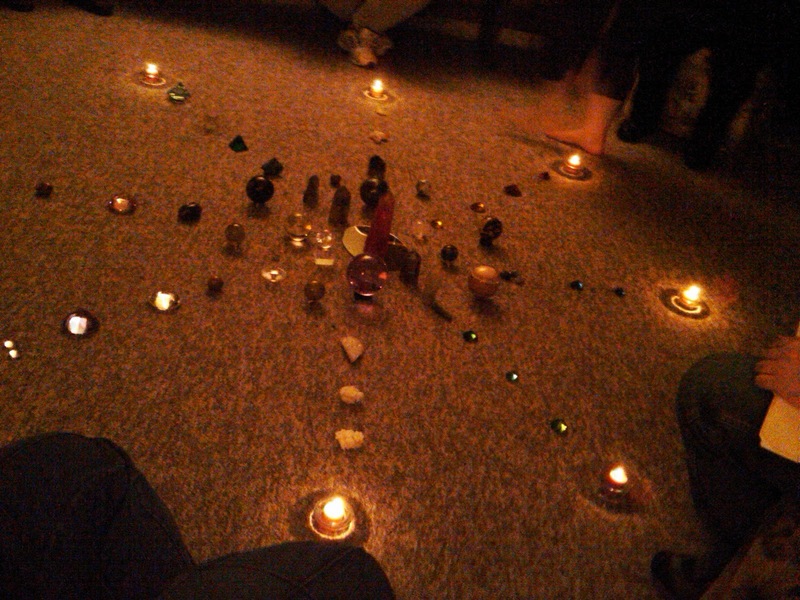 They keep me on top of my spiritual practice. 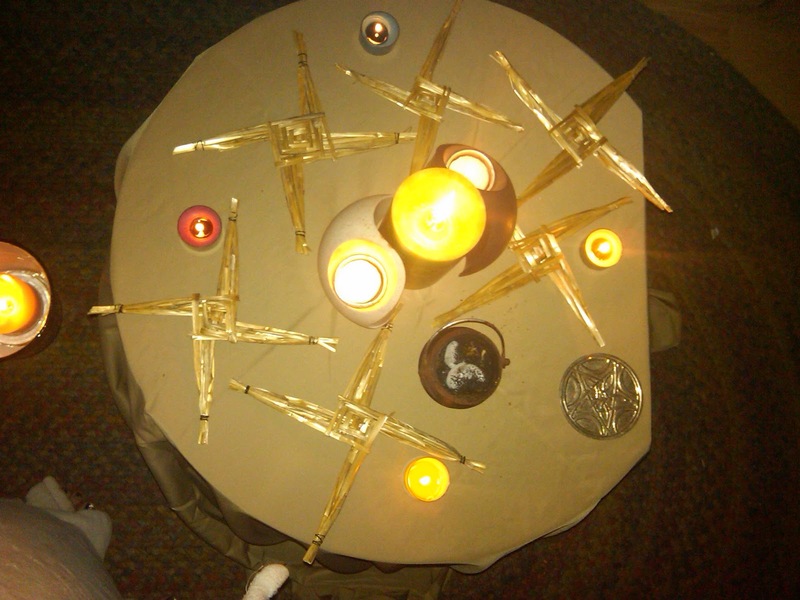 They remind me to be on a daily basis to practice my faith. 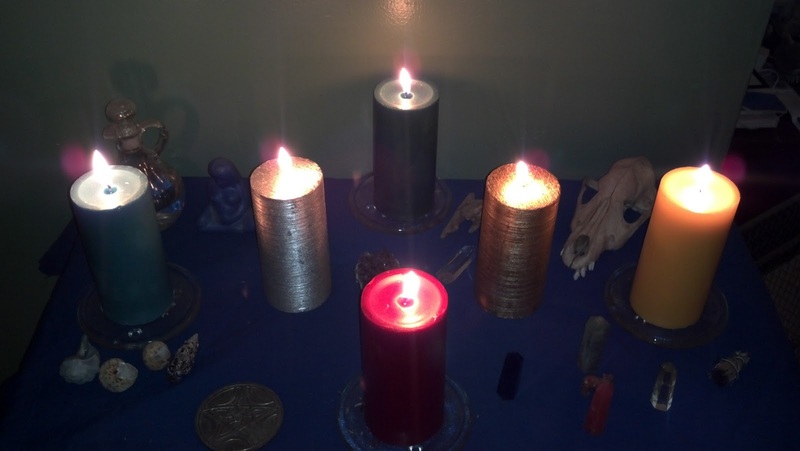 Altars are very personal and can have a variety of components. 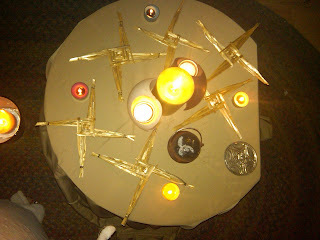 I also change the components to fit the season, ritual, God or Goddess I am honoring... the list of reasons is endless. For example: sometimes I use a chalice to represent Goddess, sometimes a silver candle, sometimes a statue, sometimes something that represents the Goddess I am working with. 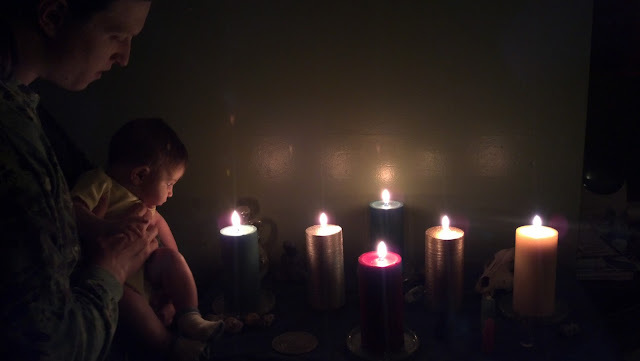 I have pictures of previous altars I will add at the end too but the altar I am setting up now is a shared altar with my Greenman in our Magickal sanctuary. 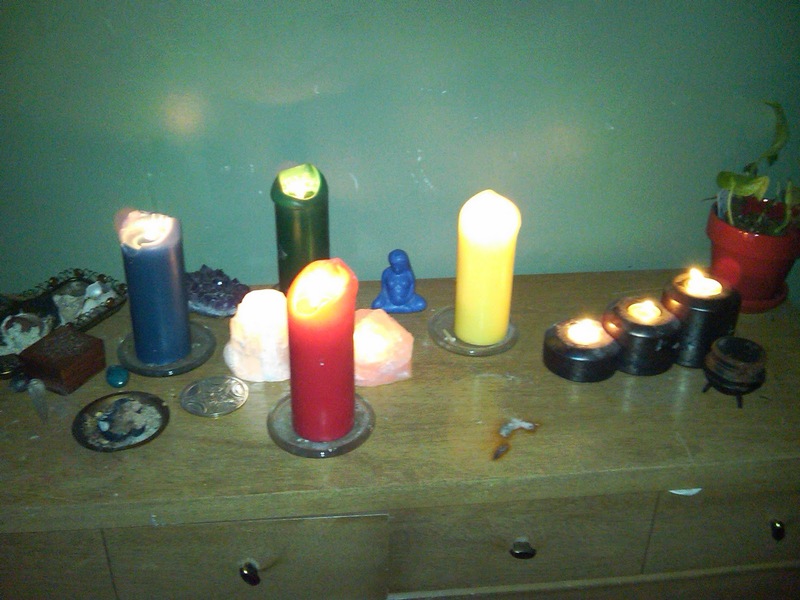 The goal is to have at least one family altar set up again very soon. The Altar that I set up was for the Wolf Moon. This was a working altar that I was using for self love. This was an altar I had set up in my room. 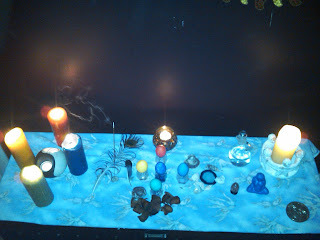 This was a simple altar we used for an Imbloc ritual. 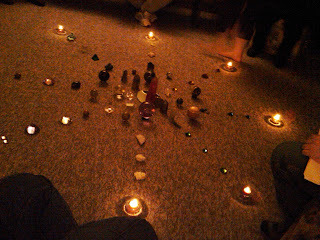 This was a crystal grid altar.